We have ( within the next few minutes I have to amendment that to had) a lovely, healthy, large (the only really big tree around here), gum tree growing just outside our fence on council property. Apart from being lovely to look at the tree was home to a pair of breeding kereru and a number of tuis, it was a high nectar producing tree that fed native birds, bees and bumblebees in the area . It flowered in the late winter when few food sources exist. The tree posed no threat at all to the road, any drains or any person, on the contrary, loss of the root system could seriously compromise the stability of the steep verge of the road. The removal happened by stealth, as it where, the crane appearing at 8am opposite my garden with no prior warning and the first cuts were swiftly made. We ran for the phone and tried to speak to the authorities in charge but could not stay the outcome. As disturbing as the loss of the tree was the stonewalling of the council, perhaps pointing towards a cavalier attitude towards residents in this area. 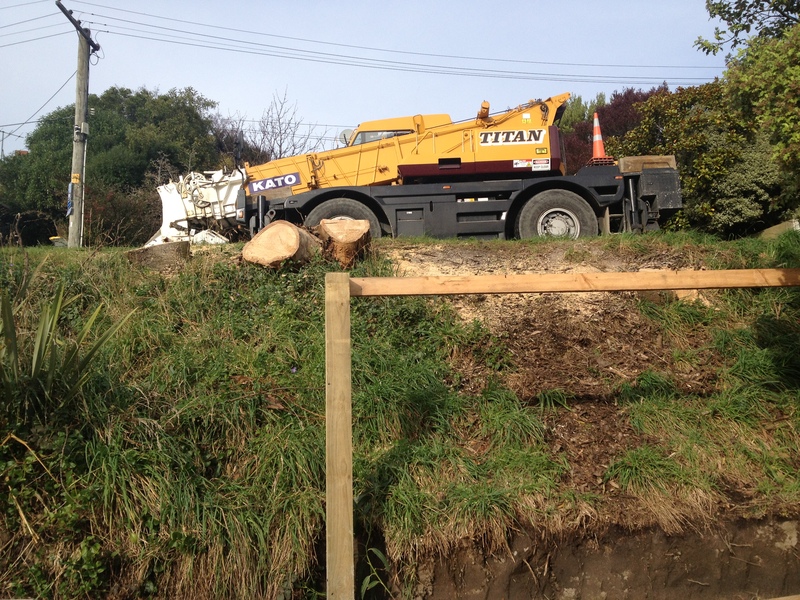 I fear reprisal so can not name the names of people contacted or powerful people who thought so little of this Dunedin resident that they refused to speak to me, but it was implied we were wasting our breath, that the tree will come down regardless, so just go away. Dunedin residents are footing this bill at the rate of hundreds of dollars and hour from the moment the crane leaves the yard. 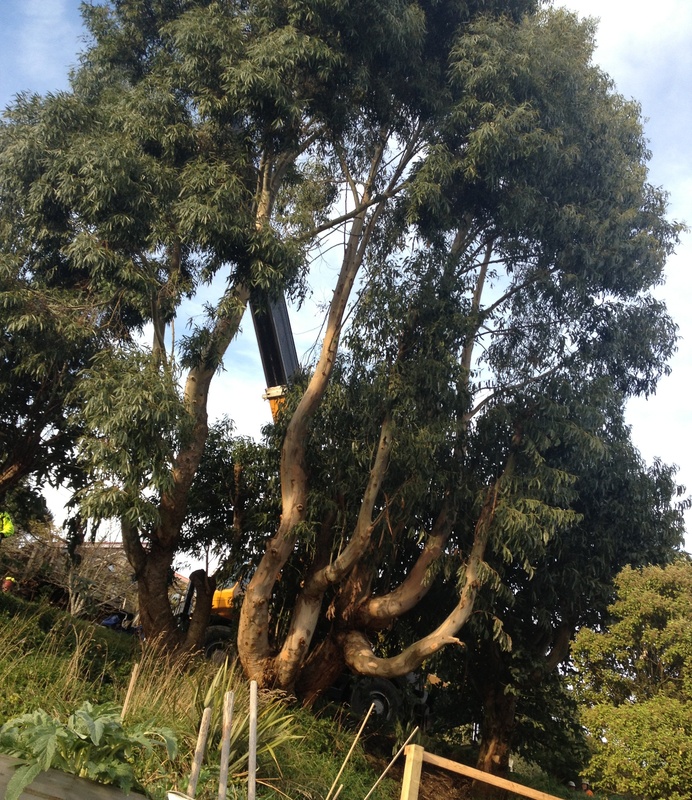 We guess that the cost of removing this tree will amount to many thousands of dollars since the crane spent 5 hours on this job. The question that needs to be asked is who benefited from this unnecessary work? Who makes such rash decisions, and why do the residents not have a voice, but have to pay the bills? It is for the cash flow of a mate – as it happens all over the world.